Stop by Robin Doggett’s new letterpress studio in Twisp during the month of February and view miniature collage and printed works by the artist. 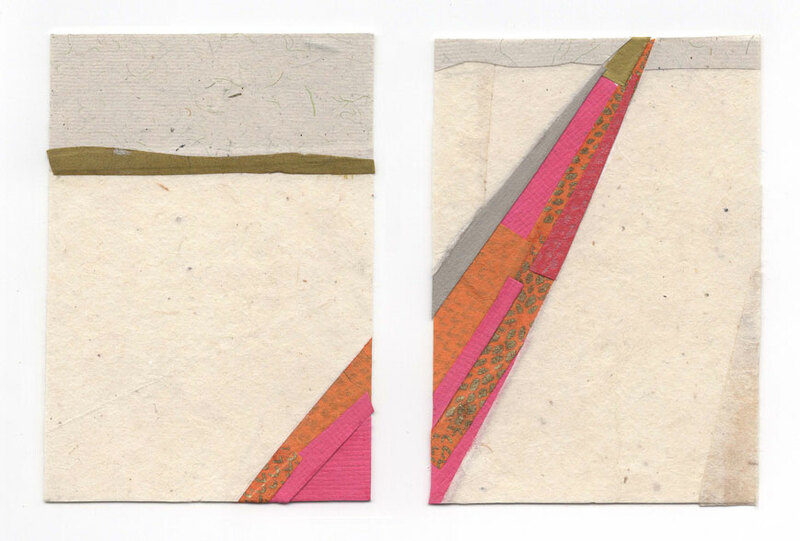 ‘PAIRS’ will feature small works on paper shown as a collection in groupings of two. This mini exhibit will occur in conjunction with a weekend jeweler and artisan event showcasing the work of Methow valley artisans and jewelry makers. All are welcome to attend an opening reception and jewelry preview Friday, February 8 from 4-7pm at Robin Doggett Studio. On Saturday and Sunday, February 9th and 10th, the studio will host a weekend pop up event featuring the work of local jewelers and artisans from noon to 5pm. The mini exhibit and artisan pop up will offer the community a chance to purchase locally made art as gifts for Valentine’s Day and an opportunity to connect with local makers about their work. An opening reception on Friday, will kick off the weekend and folks can try on and pick out pieces for individual ‘wish lists’ to be kept at the studio during the pop up event. Featured jewelers include; Sarah Jo Lightner, Joanne Marracci, Kelleigh McMillan, Sandra Woodbury, and Cassie Head. Sara Ashford will also share natural, hand-dyed garments made at Culler Studio, her fiber studio in Twisp. Robin Doggett Studio is located at 117 W. 2nd Avenue in Twisp. Look for the blue building adjacent the Methow Valley Community Center. Parking is available on 2nd Avenue or along the alley by the Twisp Commons park.